The University of California Santa Barbara has the trifecta of college success: brawn, brains and beach. 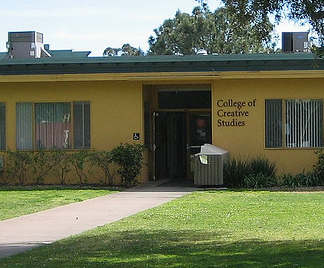 Within the “brains” sector, UCSB has three divisions of academics: the College of Letters and Science, the College of Engineering and the College of Creative Studies. These unique colleges provide a variety of studies for students to pursue, making UCSB an academically diverse campus. The College of Letters and Science is the largest college, with 17,000 undergraduates and 2000 graduate students studying 78 majors and 39 minors. According to the College of Letters and Science website, one of the university’s greatest strengths is in interdisciplinary studies. Majors such as black studies and film and media studies specifically focus on interdisciplinary studies, drawing from history, literature, media and other fields. The college encourages its students to study abroad and also has an Honors Program for high-achieving students. According to the college website, the College of Letters and Sciences is a “comprehensive liberal arts college within a great public research university.” By completing general education requirements, students graduate with a well-rounded education and are prepared for diverse careers. Alternatively, the College of Engineering and the College of Creative Studies have in-depth and direct studies that make students extraordinarily knowledgeable in their fields. These colleges may fall short of the College of Letters and Science in numbers, but certainly not in achievements. The College of Engineering houses about 1,300 undergraduates and 750 graduate students in seven majors: chemical engineering, electrical engineering, electrical and computer engineering, computer engineering, mechanical engineering, computer science and materials. Their state-of-the-art laboratories, excellence in research and Nobel prize-winning faculty make the UCSB College of Engineering thirty-fifth in the nation, according to the college website. Terri Ryan Coleman, Assistant Dean for Student Services, said that the engineering students have such different degree requirements that it is necessary to have a separate college for engineering. This division keeps student to faculty ratio low. “I think that we have more of a sense of community amongst our students and faculty because there are smaller class sizes and there is more interaction,” said Coleman. The interaction between students and faculty leads to research projects that are often highlighted in “Convergence,” the magazine for engineering at the sciences at UCSB. Glenn Beltz, the Associate Dean for Undergraduate Studies, wrote on the college website that engineering students clearly pursue their passions; some graduates have appeared on Discovery Channel’s Mythbusters while others have become Disney Imagineers. “That’s the fun part: seeing students graduate, go off and be successful,” said Coleman. The College of Creative Studies also houses students passionate and ambitious in their studies. Described as “a graduate school for undergraduates,” the 400 students in the college delve deeply into eight majors: art, biology, chemistry and biochemistry, computer science, literature, mathematics, music composition and physics. The tight-knit community encourages collaboration rather than competition. Bailey Loverin, first-year literature major, said that the small class size allows the students to get to know each other and the faculty better. Also, Loverin commented that CCS encourages students to understand all facets of the field and promotes outside study by having more flexible general education requirements. The intensive nature of the College of Creative Studies makes it so all students graduate with an original body of work, from paintings to poetry or reports of scientific research. The three colleges at UCSB provide different modes of study for different students. Whether a student’s call is in interdisciplinary study or focus on one field, there is a college with personalized teaching for everyone.